One of the most powerful techniques to improve your sales and maintain a formidable relationship with your customers is the use of email marketing. If your customers have already bought products from you or have chosen your service then these individuals will likely retain your services if you keep in touch and provide the best possible service you can give. Traditionally, small businesses connect with their customers by using local newspapers, community billboards and even through fliers which is roughly an average of less than $50 on return of investment for every dollar that they spend on using email advertising. 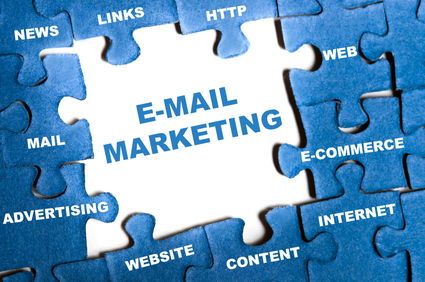 And aside from being affordable, email marketing allows flexibility and ease of use since most people nowadays use email to communicate. One of the best ways to keep in touch with your customers is through email newsletters. Small Business SEO Success provides you with all the tools you need to create different email newsletter options. These tools are used by our team of internet marketing experts who have partnered with different small businesses and have reaped excellent marketing results. New products – new product lines are very popular every season and one of the best ways to let your customers know about the latest additions to your inventory and catalog. New services – for a service business, there is always a chance that there will be changes to your services or new services to offer. It’s important to give your customers and loyal patrons the most up to date information on all the services you offer. News – the latest news about your company and how your business is doing is important information to share with your customers. News about your new products, new ads, new bargains, discounts or deals and any changes made to your terms and policies should be shared with your customers. Coupons – businesses may give out discount coupons to loyal customers and you may include these in your email newsletters. You may send a set of coupons each week or each month and these coupons may provide discounts on shipping, free items with a purchase or a discount for an item or service. Popular stores often give out coupons on a regular basis and this helps to strengthen customer loyalty and customer retention. Sales – you don’t have coupons to spare but you have a sale coming up and this may be announced through your email newsletter. Create a poster or a special announcement and place this in your newsletter to create continuity of your internet marketing strategy. Contact Small Business SEO Success anytime to learn all about our email marketing strategies that are suitable for your small business.